The middle slopes of Roseberry Topping might appear natural but it is sensitively managed. if left to nature’s own devices succession would occur leading to an expansion of the mature acidic oaks of Newton Wood. A semi-open woodland is an essential habitat for several species of birds, whinchat and tree pipits, ring ouzels have been recorded. The rowan, silver birch and hawthorn trees are periodically thinned to the tree cover becoming too high or too dense. Ground flora is dominated by bracken but early in the year rosebay willowherb, wood sorrel, bilberry, tormentil and various grasses can be found. 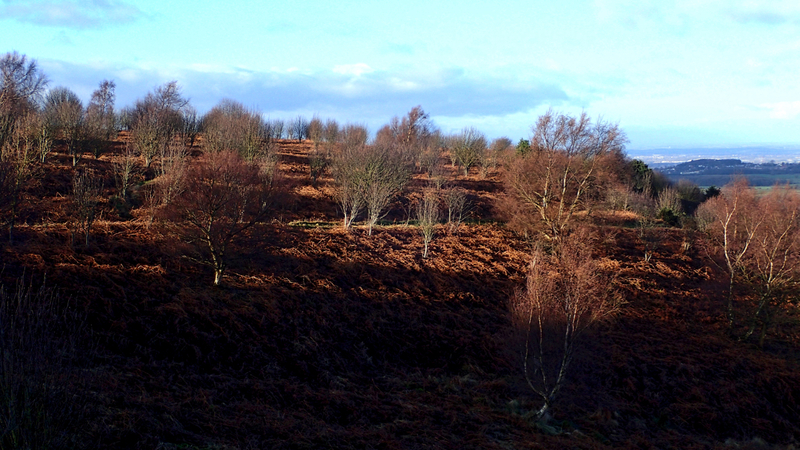 Sheep grazing has been much reduced which has led to an increase in the bracken. Cutting or crushing the young shoots of bracken over several successive years is considered to be the best method of non-chemical control.